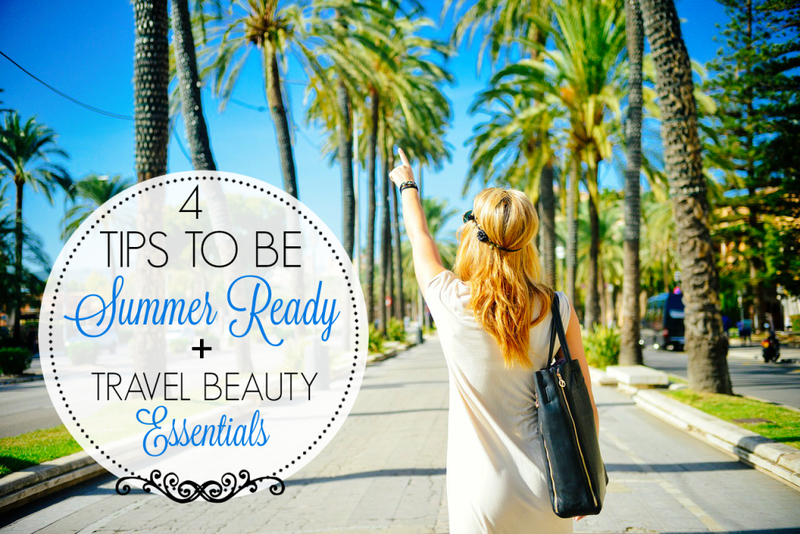 Tips to Be Summer Ready + Travel Beauty Essentials! Summer is here and the sun, gorgeous weather and the good times are in full-force. Summer is synonymous with adventure and whether you are booked to go away for a weekend or if you’ve planned a few weeks away, it doesn’t mean that you have to say good-bye to your beauty routine. You can still travel light and have everything you need by using this list of travel essentials. It will help you look and feel your very best all summer long wherever you may roam! I know that when I travel, I prefer to travel light. Unless I am specifically going away for something super fancy, I don’t pack all my heavy-duty beauty gear. Rather I like to bring the simple essentials that will give me the beauty boost I need, all while keeping my beauty routine in check. I’ve listed my favorite products that are an absolute must when you travel. You can add to it but, these are ones that I always bring with me. Whether it’s a weekend trip or if I’m going away for a long trip. They never let me down! The trick is to find products that work well and that cover every aspect of beauty care: hair, face, body and make-up. 1. Put ON a Good Face! The older that I get, the more conscious I am about skin care. Our skin is the largest organ of our bodies and we need to take care of it. When I travel, I only bring heavier make-up like primer, liquid foundation, contouring etc. if I am going to be going to an evening event. For everything else, I stick to the basics. To start off, always bring your favorite cleanser, it is incredibly important to keep your face clean. Especially if you are highly active or if you’ve been sweating. I didn’t list mine because it happens to change every once in a while. Since I have sensitive skin, I use oil-free cleansers that either foam up or turn into a paste and offer a light exfoliation. 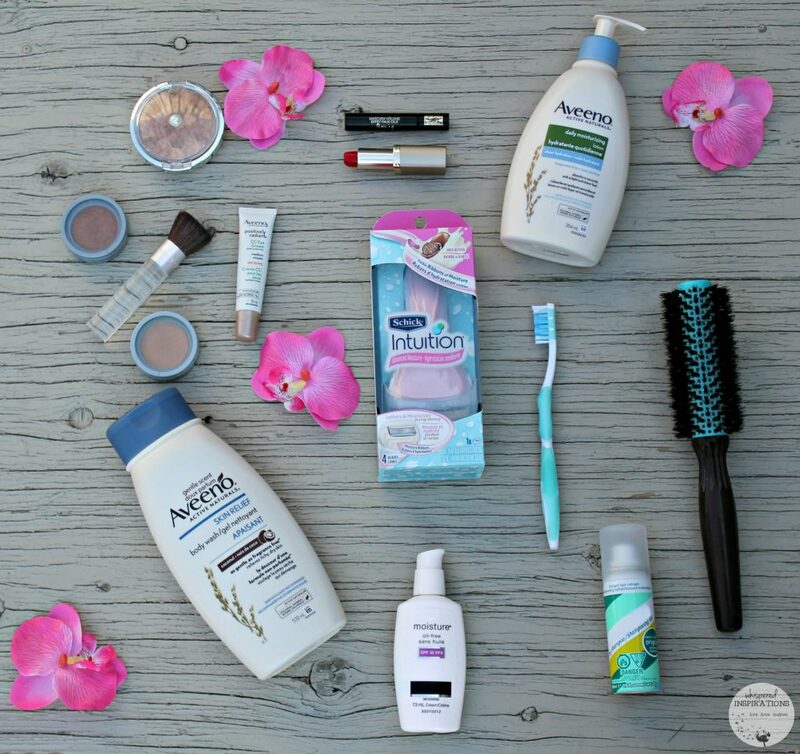 I have always loved the Aveeno Active Naturals line though. Make sure to pack make-up remover wipes or face cleansing wipes for a quick option and if they have exfoliating beads in them–even better. Along with cleansing your face, you need to have clean chompers. Pack a tooth-brush and tooth paste. Bring floss if you are so inclined. Next is your face moisturizer, I always stick with one that is oil-free and contains SPF to protect from those good ole UV rays. As always, this is optional. As far as coverage, I always pack mineral foundation, mineral bronzer and a mineral highlighter. They are light, good for your skin and have SPF built-in. For concealer, I use Aveeno’s Positively Radiant CC Eye Cream that is a tinted moisturizer that also contains SPF. I always bring an eyebrow pencil, gel and powder. But, that’s me because if I can choose anything, it would be a clean face and my eyebrows on fleek. I know that is not part of everyone’s routine though. To top off your fresh face look, you can bring along your favorite mascara and shade of lipstick. I like reds, wines and pinks! Skip the lipstick if it isn’t your thing and bring your go-to lip balm. It never fails you, right? If you are feeling sassy a neutral eyeshadow and an eyeliner for a winged tip will do the trick. Just throw it in the bag! Let’s face it, if you have an action-packed holiday planned–you may not wash your hair everyday. In fact, some of you lovelies may not opt to in your normal everyday routine anyway. 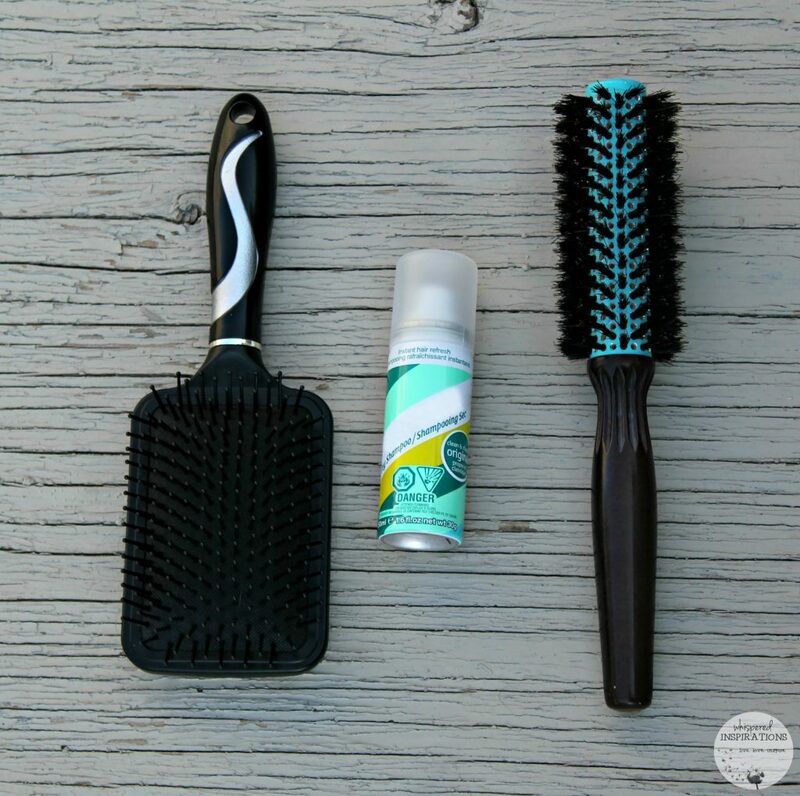 Pack your favorite dry shampoo to help tame that mane and to keep you fresh until your next wash! Don’t forget your shower cap! Of course, do pack your shampoo, conditioner, hair spray and straightening iron. Or skip the straightener and instead pack a leave-in conditioner and wear beach waves. No one has to know you haven’t been to the beach. Maybe you have, maybe you haven’t but, it’s an easy way to do your wet hair after a shower. Grab a Ziploc bag and pack bobby pins and hair ties to throw your hair up in a messy but, oh-so-fashionable bun if it strikes your fancy! If you’re spending time in the sun or in salty ocean water, your skin is gonna need some lovin’. Simple as that. I know after a long day and depending on what I’ve been up to; I just need a shower! My skin is craving cleanliness and rejuvenation and I love using products that are natural and that aren’t harsh for my skin. For a body wash, I’ve tried the AVEENO® Skin Relief Gentle Scent™ Coconut. It smells lovely and it feels even better! Plus, it’s soap-free, dye-free and allergy-tested so you can use it everyday! With this body wash, I know that it will clean the dirt and grime (maybe sand) from my body and clear up my pores. I also love that it leaves my usually dry skin feeling silky and moisturized. Of course, always pack your deodorant for after-shower freshness! 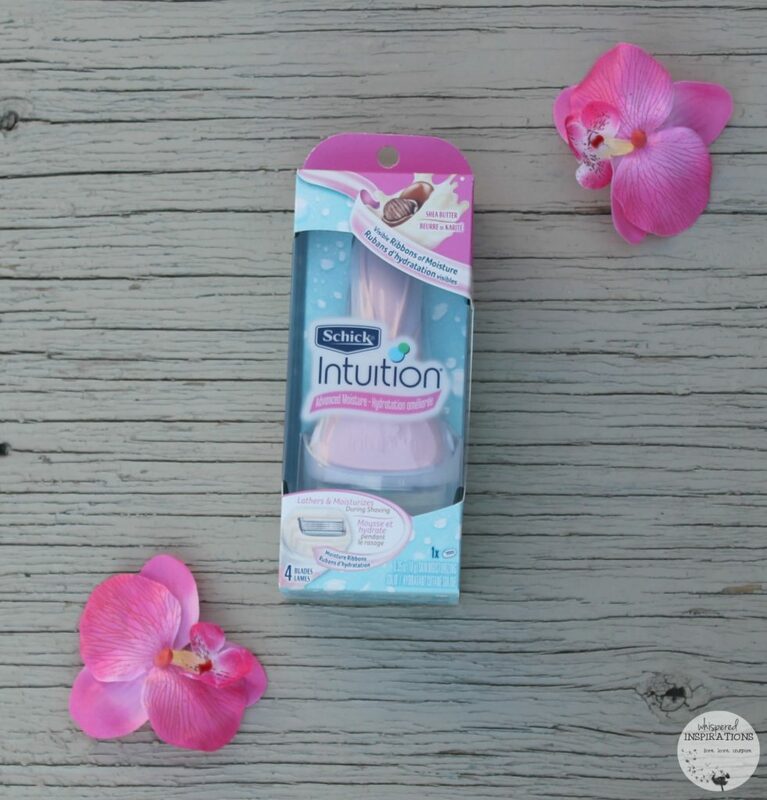 One of my absolute favorite razors is the Schick Intuition Advanced Moisture razor. Why? Well, since it has 4 blades surrounded by a built-in Skin Conditioning Solid containing Shea Butter, you don’t need to pack shaving cream. Ever. It makes shaving incredibly easy and it isn’t harsh on your skin. It has been one of my go-to’s for years and even more so for traveling. With its protective cap, it’s easily packed and stowed away safely. So, after you’ve used the AVEENO® Skin Relief Gentle Scent™ Coconut body wash, you will have clean skin to get your body and legs ready for vacation and beyond! TIP: For tricky areas like your knees, bend slightly to pull the skin-tight before shaving. Be sure to hold folded areas taut since it can be dangerous to shave otherwise. No one wants nicks and cuts! For the bikini area, shave horizontally, from the outside to the inside of the upper thigh and groin area, using smooth even strokes. Our skin gets extra-sensitive after shaving, so be sure to wait 30 minutes before applying any alcohol-based products on your skin. That will help you avoid any type of painful stinging or inflammation. For an after-shower moisturizer, I pair the AVEENO body wash withAVEENO® Skin Relief Gentle Scent™ Coconut Lotion. I love how it is lightly scented and non-greasy! While it is non-greasy, it leaves you with a silky sheen and a summer glow! Not to mention, it absorbs quickly and since it replenishes and hydrates your skin–you’re good for 24 hours, y’all. Now that you have the essentials, you can pack the extras. I always bring a travel manicure set. You just never know when you are going to break a nail, get a splinter or worse, get a hang nail! 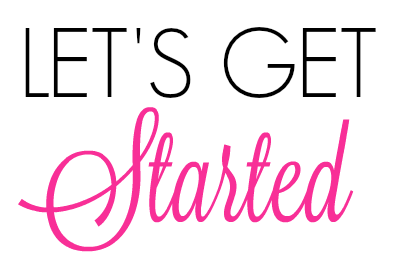 I’ve listed a few more beauty extras below! There you have it folks, I am sure that you can add to this list. While I like traveling light, I know how to make room for the essentials. I know that my face and body will look and feel fresh, my legs and body will be smooth for those cute summer outfits and I’m prepared for anything. 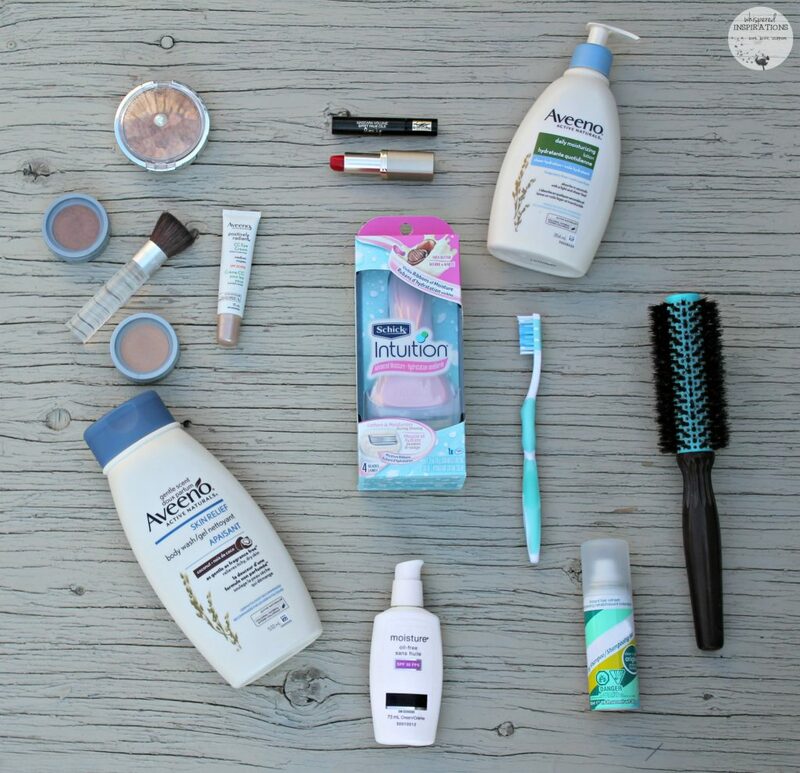 If you want more summer ready tips or to pick up some of these must-have products, visit your nearest Shoppers Drug Mart for more Schick Savvy and Aveeno tips on getting Summer Legs You’ll Love! What are some of your travel beauty essentials? Hehe, I think we all have forgotten at one time! This is a great list of travel beauty essentials. It is so important to keep your skin moisturized. and I have to admit that Aveeno has great products for doing so. I have not yet try the coconut products yet but will be picking them up for sure. 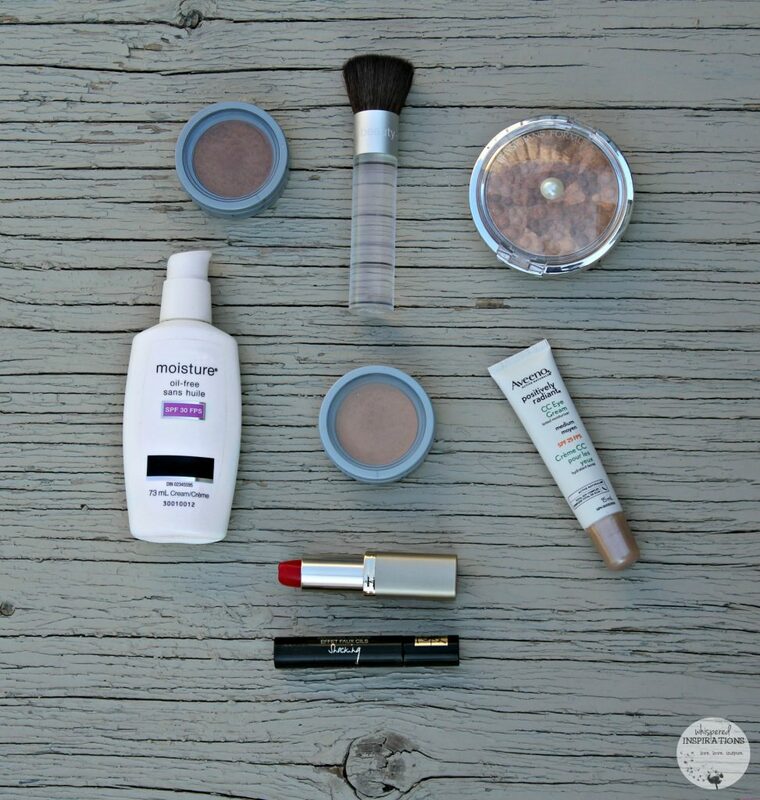 Thanks for sharing this awesome list of beauty essentials. I tend to pack lightly when I travel. I don’t wear a ton of makeup. I usually wear a base, eye shadow, and lip gloss on occasion. I always take stuff for my hair. I am picky about my hair. I need conditioner and usually don’t care for the stuff at most hotels. These are fantastic beauty essentials. I need to make a beauty travel kit like this. I am going on a trip soon. I love it! Light and leaves skin so smooth! That is my favorite razor. It is so easy to toss it in the suitcase for vacation. I too like to travel light, but I have to take my beauty products and my Schick razor!! Me too! They make such great products! Perfect Essentials! I find that we need too much when we travel! It takes so much room in our luggage. I definitely need to start worry about my skin when I travel. I totally need some of that Aveeno coconut lotion. It is divine, not going to lie! I love makeup remover wipes, I use them at home as well as when traveling. Other than that I must have lip gloss. The Aveeno products are awesome! This is an excellent list of essentials and totally relevant all year round. The Aveeno line has worked wonders on my sensitive skin. I like your list! I have my own beauty essential kit and I never let go of them out of my sight! 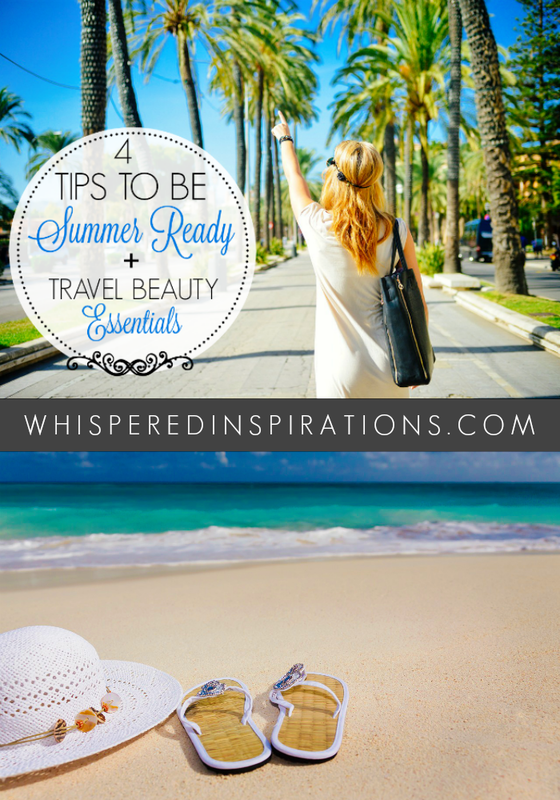 I usually trave a lot all through the year and these are some great suggestions for beauty essentials to pack up with you. 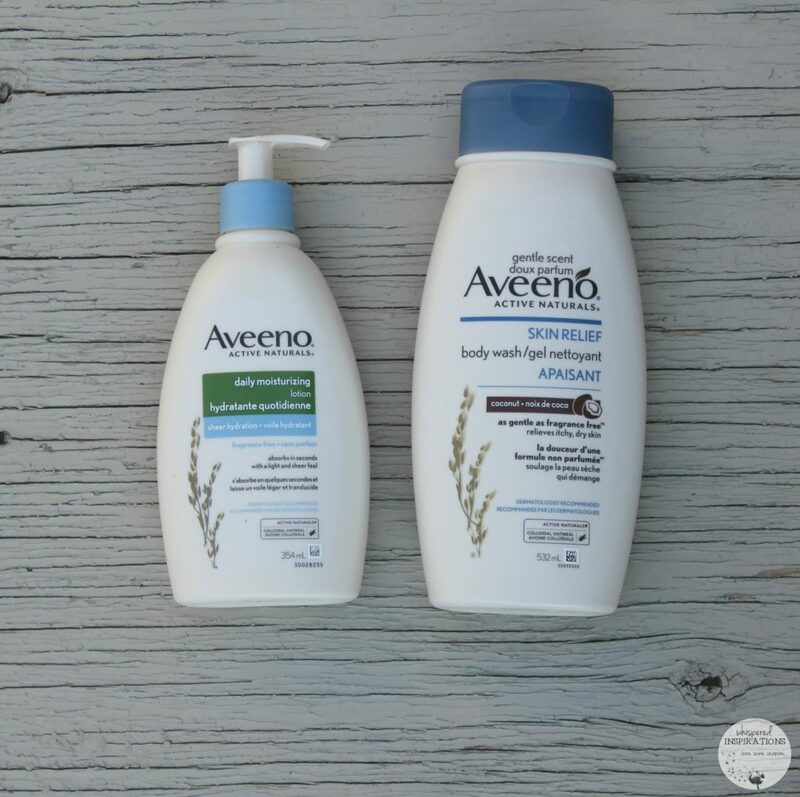 I have a sensitive skin to deal with and the products from Aveeno could be really helpful for me. I have sensitive skin too! It is so important the older we get too!